Bethesda has long trumpeted the sheer size and scope of its upcoming RPG sequel Fallout 4, even going so far as to that the open-world title will comprise a staggering 400 hours of content. Today, though, the esteemed studio when one step further to confirm that the game won’t end when the core campaign does, and that players will be free to wander the Wasteland in all of its desolate glory until their heart’s content. Taking to Twitter, here’s what the game’s developers had to share – and also, no level cap! Of course, what’s a gargantuan world without the content to warrant its size? Thankfully Bethesda has crammed enough side-quests and activities into Fallout 4 to sink a ship, with the base-building elements and hidden secrets all teased during the game’s presence during E3. This scope would put the studio’s RPG sequel in line with the likes of Skyrim and Oblivion in terms of sprawling game worlds, though we can’t help but feel that the completionists among you will be biding farewell to your loved ones in time for the game’s launch in November. 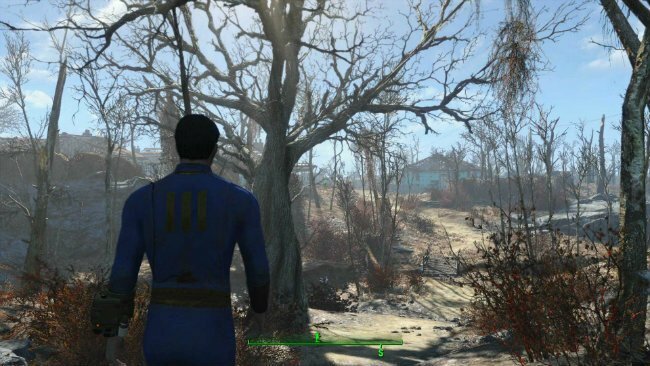 Bethesda will bring its Massachusetts Wasteland to PlayStation 4, Xbox One and PC with Fallout 4 on November 10.